My Coaster Furniture Reviews - Value Manufacturer - Quality Furniture! / My Coaster Furniture Reviews – Value Manufacturer! My Coaster Furniture Reviews – Value Manufacturer! If you haven’t heard of Coaster furniture you soon will. They’re one of the fastest growing furniture companies operating within the U.S and expanding into more and more stores. Coaster are challenging the established names with their fresh approach and quality furniture. Coaster is founded on innovation with the company taking the initiative and building on their success. In our Coaster furniture reviews guide you will learn all about Coaster's history, their values, the types of products they produce, some reviews, and their furniture warranty policy! Coaster furniture have been operating for over 20 years as a distributor of furniture throughout the U.S and beyond. Their distribution is pretty impressive, and they are trying to replicate what Levin furniture has built in sense of distribution. While they don’t manufacturer the furniture themselves they have built an impressive infrastructure and now have branches in Los Angeles, San Francisco, Chicago, New Jersey, Atlanta, Florida, and Texas. Coaster’s goal is to become the best furniture distributor in the United States, with more products and variety at the best prices. They are looking to exceed the customer’s expectations and show a great deal of respect for the buyer, for their team of employees and for their products. Coaster have an efficient system set up which allows them to reach more people than ever. With 7 different distribution branches Coaster furniture will soon be in thousands of homes. Coaster furniture is all produced in Asia. While this is a common concept in the furniture industry it can lead to a shortcoming in quality of products. Let’s have a look at what Coaster is offering and review their most popular products. Coaster furniture have developed a diverse portfolio of products and are now distributing furniture for the whole home. Their core ranges are for dining room, living room and bedroom but they have office furniture, accessories and accent pieces to bring together a room. Coaster also have a “Youth” section which has beds and other furniture designed especially for kids. All Coaster products are manufactured outside of the U.S and shipped in. 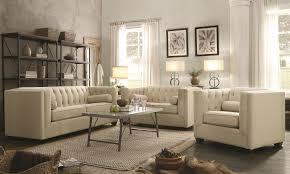 If you are more interested in U.S. produced furniture, then Arhaus is a good option. While Coaster only operates as a distributer there are still quality checks in place to ensure units are up to scratch. Coaster have focused on efficiency and value, setting up fast delivery systems to let you get the products faster. Coaster furniture’s efficiency has also allowed them to keep costs down for the customer, which is always a real benefit. Coaster’s most popular products are their sofas, recliners and some of their bedroom fittings. Let’s take a look at their core collections. Each of these are made for a particular purpose and to suit a specific home. If you are interested in a chaise lounger from Coaster, then make sure you find the best coffee table to go with as well! You’ll be able to choose from traditional pieces or more modern furniture with each giving a very different look and feel to your living room. Coaster allow you a large range of choice to customise your furniture to your home. There are a variety of styles, colours and fabrics available. 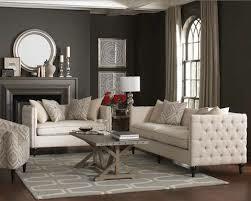 Coaster also have leather sofas and chairs which has the advantage of being more durable and longer lasting. The leather is available with different finishes and colouring. Specific mechanisms have been developed and fitted into Coaster products so they can be utilised most effectively. Reclining and swivel options are available on some of the seating and Coaster also have a range of bed chairs, perfect if you have guests regularly. Coaster Furniture living room selection is pretty varied with lots of different seating available. While It is a little more basic than some manufacturers It’s still able to do the job fairly reliably. The units do pretty well combining style and utility for their price. Coaster Bedroom collection is made to fit together and compliment each other. You’ll find matching elements to make the room come together. There are hardwood options, metal and there’s even glassware available. Coaster are producing beds for multiple different purposes. 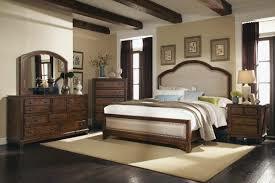 From Jeep beds for kids to queen sleigh beds for adults you’ll find that they make the bed the centre of the room. With innovative storage solutions they can maximize your space and make your room seem bigger. With such a large range of bedroom furniture It’s worth finding your local dealer and going for a look around. With collections that work well together, as well as individual units that can stand alone, It’s perfect for refitting your whole bedroom or just getting some storage. Outsourcing to Asia does leave Coaster furniture a little less personalised and It feels a bit more generic. The quality is still good but the products will probably not last as long as some of the other competitors. That being said the prices are competitive so if this is your budget you might be able to find a good bargain. If you are looking for a quality American manufacturer furniture company take a look at Klaussner! The nightstands are solid and feel like they should cost far more than they did. The bed itself feels more like "you get what you pay for" in that I believe the headboard is laminate and the entire thing is lightweight and uninspiring, but it does look nice, and after six years it still looks looks new. Other users were disappointed by the quality of the pieces they bought and the fact that they didn’t stand up to the test of time. “Both chairs had a piece on the inside of the arm break off within two months of use. It doesn't affect the look, but you can feel the hole inside the arm.” - Marcus J. With Coaster Furniture acting as a distributor rather than being a manufacturer the quality will vary from product to product. Coaster use multiple different factories and each will have slightly different approaches and techniques. This means that Coaster Furniture can be a little inconsistent and slight damage can occur. The best thing to do is find a local retailer who will back up their products. This minimises the risk as you know any damage that wasn’t your fault can be repaired. Be sure to talk through warranty with your retailer and see where you stand with them if there is a problem, including the time it would take to get something fixed. Coaster Furniture warranty varies slightly from product to product, but generally they offer a 1 year guarantee on their products. This covers all workmanship and defects but not wear and tear, be sure to follow their guides for proper maintenance of products. The 1 year guarantee is fairly standard in the industry and shows Coaster will back up their producers. Always be sure to check with retailers about what exactly is covered, as you’ll be going through them to get anything replaced or repaired. Coaster Furniture as a company is doing really well and getting better every year. If you’re looking to buy furniture from them you can end up with some really great pieces, but there is an element of risk. With outsourced production It means that problems or issues will be more likely, and It may be difficult to get things replaced quickly. This is why finding the right retailer is important, somebody who will stand behind the product and uphold the warranty. Coaster lower and mid tier brands are pretty impressive value. Their prices are competitive for some stylish and innovative units and worth taking the chance on. If you look around then Coaster Furniture could provide you with a great deal, adding value to your home for a low price. Check out more living room product reviews!